Fórsa is to study the first Public Service Pay Commission (PSPC) report into public service recruitment and retention issues, which was published today (Tuesday 4th September 2018). Today’s report looks into nursing, medical consultants, and non-consultant hospital doctors (NCHDs). Future reports will study recruitment and retention issues for other public service grades identified by the PSPC in its initial (2017) report. The union put forward evidence to show that the civil service is struggling to recruit staff in many areas because salaries are not keeping pace with those available in comparable private sector jobs. It made similar arguments in respect of various health and social care professions. 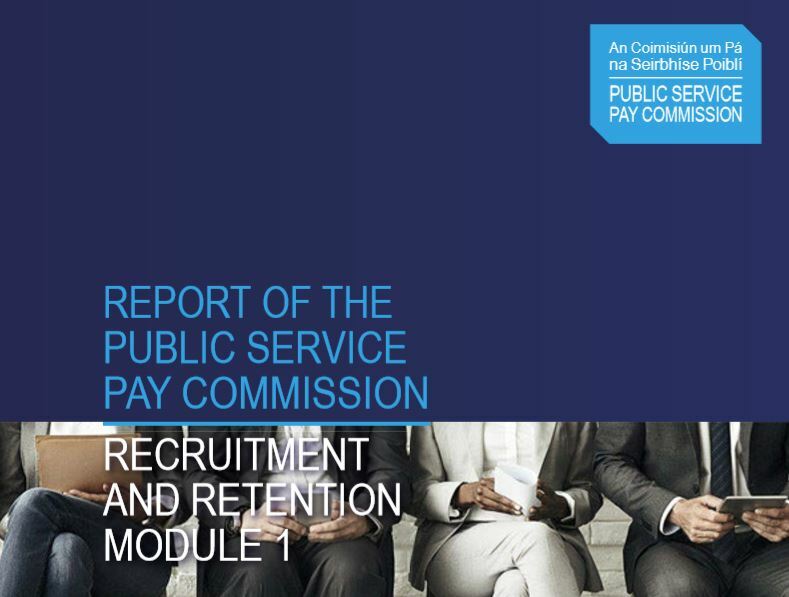 The reports are being produced to fulfil a commitment in the public service pay deal – the Public Service Stability Agreement (PSSA) – which commits the pay commission to analyse the causes of recruitment and retention difficulties in specific areas of the public sector. The agreement also requires the Commission to recommend options to deal with these problems. The Government approved the terms of reference for this examination in October 2017, after which the PSPC invited submissions from unions representing grades identified in its original report. Future reports will study recruitment and retention issues for other public service grades identified by the PSPC in its initial (2017) report. Fórsa made written submissions on behalf of named grades in the health sector and the civil service, which will be the subject of future pay commission reports. The union put forward evidence to show that the civil service is struggling to recruit staff in many areas because salaries are not keeping pace with those available in comparable private sector jobs. It made similar arguments in respect of various health and social care professions.